As the BVI Yanmar Dealer, Parts & Power stock, supply and install Yanmar engines, drives, accessories and spare parts. We are Caribbean Yanmar parts suppliers. Yanmar Marine offers engines, drive systems and accessories for all types of boats, from runabouts to sailboats, and from cruisers to mega yachts. In marine leisure boating, the worldwide reputation of Yanmar Marine is second to none. Yanmar’s Marine division is dedicated to boating. With regional headquarters in Europe, the United States, South East Asia and Japan, plus full-scale sales and service support facilities in more than 130 countries, it is dedicated to all the needs of boat builders, dealers and customers across the world. Yanmar Marine diesel engines facilitate maximum enjoyment of leisure time spent on the water. As BVI Yanmar dealers, we can fulfill your Yanmar marine engine requirements, as well as your Caribbean Yanmar parts requirements. 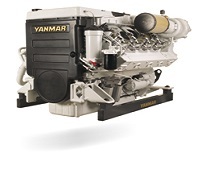 YANMAR diesel engines are the lightest and toughest solutions available for sailboat inboard power. Smooth and quiet, innovative and built to last, the reputation of these engines is second-to-none. YANMAR has been building diesel engines for nearly 100 years, always with the philosophy of developing more power for less weight. 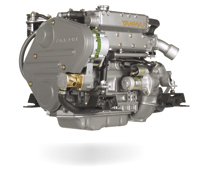 Yanmar sailboat engines are available in the power range 9 to 121 hp. Some owners use their YANMAR diesels to help them win competitions or break records. Some use them to go for high-speed, long-distance cruising. Others are content to take a more leisurely approach to their time on the water. All can enjoy confidence in their YANMAR power. They have chosen the toughest and most durable power packs available for pleasure boating. Yanmar powerboat engines are available in the power range 150-900 hp. With straightforward installation and easy maintenance, YANMAR commercial high- speed diesels provide economical, reliable, durable propulsion and auxiliary power for luxury yachts, offshore support vessels, fishing craft, ferries, tugs and multipurpose workboats. They range from 12 hp (8.8 kW) to 911 hp (670 kW), mechanically controlled. Included are engines compliant with European emissions standards and various IACS certification. 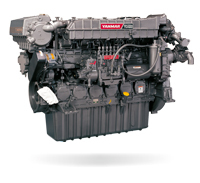 Yanmar commercial engines are available in the power range 12-911 hp. Yanmar Marine's vast international network of sales and service dealers encompasses more than 130 countries. You can be assured of the best advice and support whenever and wherever you go boating. A successful repowering project involves two equally critical decisions, selection of a qualified installer and choosing the right engine for the boat. 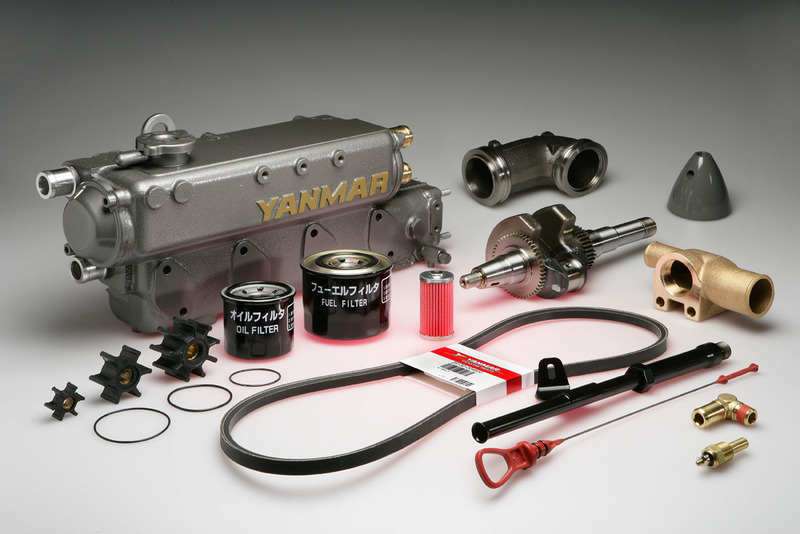 Yanmar Marine parts are specially designed for Yanmar Marine engines. Therefore it is important to use only genuine Yanmar Parts for an everlasting good performance. These can be purchased from Parts & Power or through our Caribbean dealer network. To keep your Yanmar product in optimal condition as well as perfect reliable, it is very important to perform proper maintenance. Please refer to the operation manual delivered with your Yanmar Marine product in order to perform the suggested daily and periodical maintenance. For questions and service, please contact Parts & Power – your BVI Yanmar dealer.